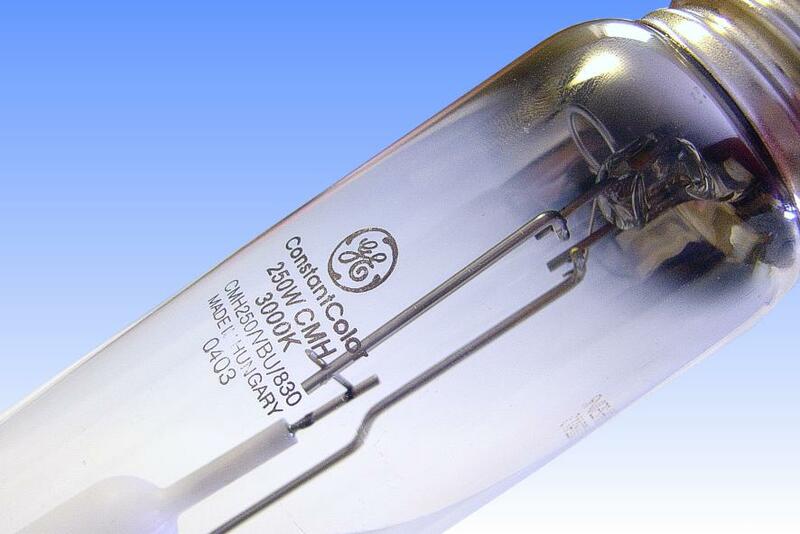 GE was the first company to market high wattage ceramic metal halide lamps, and this model is representative of the earliest type that was launched. A 400W version is also available, both types being offered in the diffuse ellipsoidal format as well. 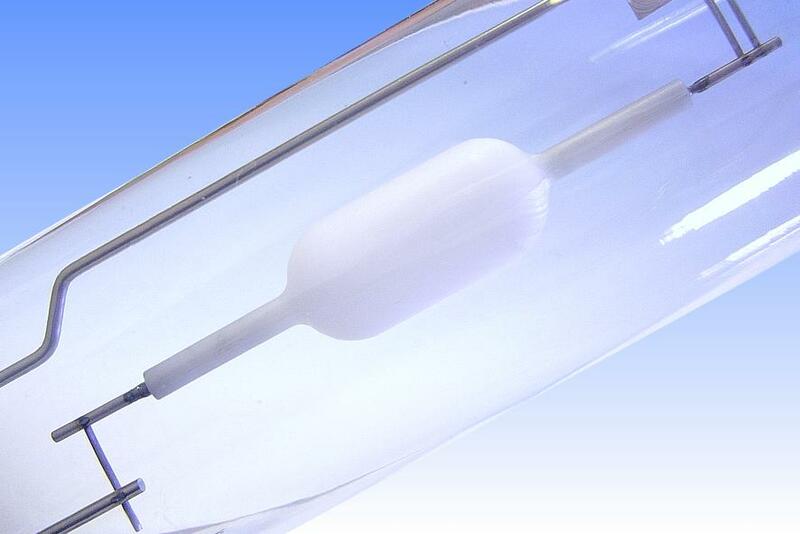 A similar family of lamps has been developed for use on the CWA ballasts in the American market. Owing to the difficulties of reliably producing such a large diameter ceramic arc tube according to the established cylindrical design, GE adopted this unique form produced from a single piece of ceramic. It is made by Toto in Japan according to a slip casting process, and this PCA is further characterised by its unusual submicron grain sizes. The arc tube appears somewhat more opaque than usual. This is owing to its relatively rough external surface which has a light scattering effect. A polishing operation is often employed on this kind of arc tube to increase its in-line transmission. 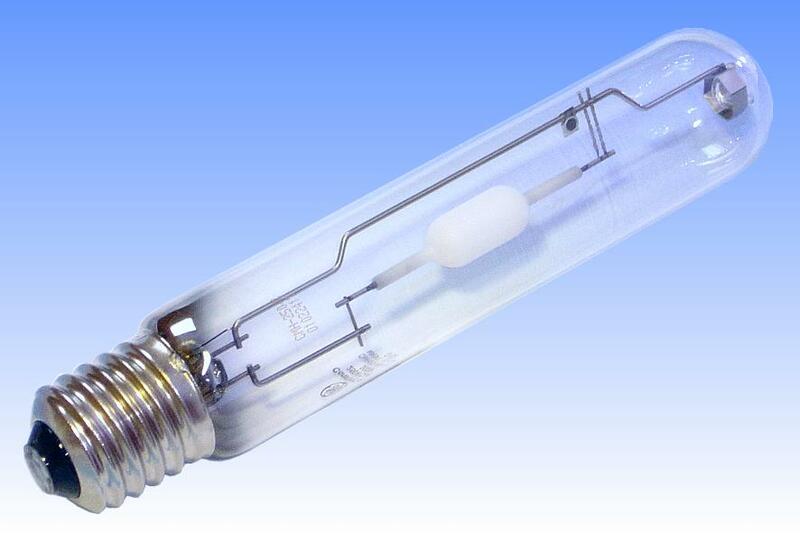 However for an arc tube as large as this, polishing offers only a relatively small increase in total lumen output and a high in-line transmission is of less importance. In view of the high cost of polishing, it has been omitted. Seals to the composite niobium-molybdenum feedthroughs are made in the usual fashion, simply on a larger scale than would normally be encountered. The arc tube chemistry is similarly based on the standard dysprosium-holmium-thulium-sodium-thallium iodide system. 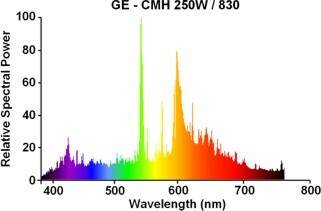 The red colour rendering index, R9, for this lamp is remarkably high. This is owing to the smoothly contoured arc tube, whose cold spot temperature is not so low as in the cylindrical design, thus increasing salt temperature and colour rendering. 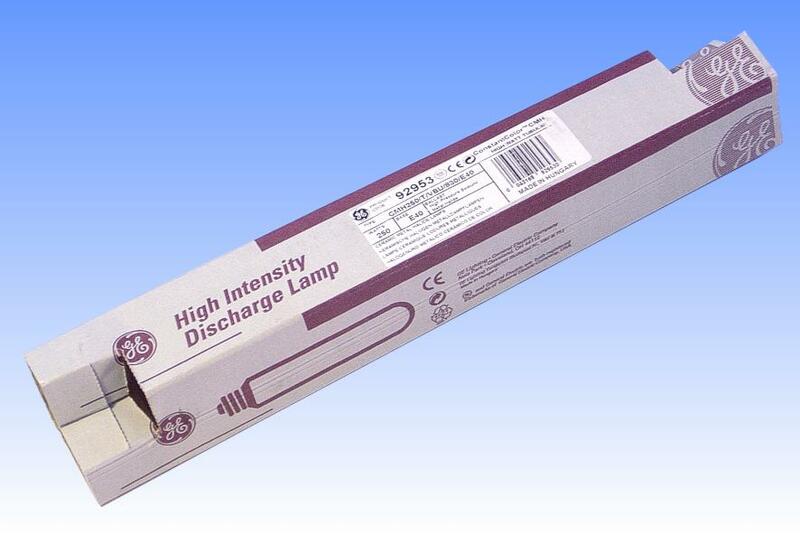 References: 1) GE Lighting UK Catalogue, 2005.